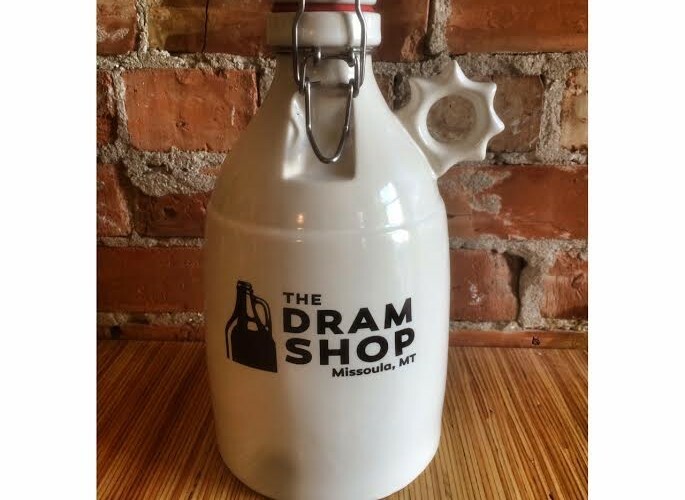 The Dram Shop Community Hand Up Events! Our ‘Community Hand Up’ program is a way for The Dram Shop to help out a community that has supported us in so many ways over the years. There’s no shortage of either good will or need in our town, and there’s always a creative way of going about fulfilling those needs. We find that in a town like Missoula, people are less often looking for a ‘hand out’, but more a ‘hand up’. By that we mean a collaborative way of helping one another, getting the word out about causes, having fun, and yes, even raising some money together. Every other Tuesday evening from 5:00-9:00 pm we partner with a local non-profit organization or cause to give them a place to meet up, get some information out to folks, and raise some money. 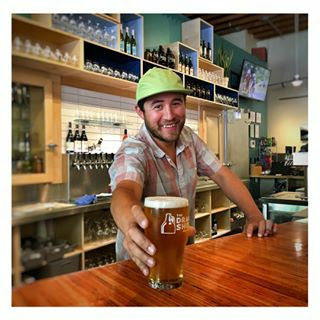 The success of these events are dependent on the non-profit organization’s ability to promote the ‘Community Hand Up’ night, and we do our part by providing a great evening of high quality beverages and friendly staff, and by donating $1 from each pint sold that evening. In the end it’s a community evening, and the real magic happens by spending some time visiting with one another. To apply for a Community Hand Up at The Dram Shop, download the HandUpApplication. Q: How do I sign-up my non-profit? A: Please download the application and follow the directions stated on the application. Keep in mind this is an application and we can’t guarantee a spot. Q: Can we hand out materials at the event? A: Yes. We will have a designated table for your group. You are responsible for set-up, clean up and taking any leftover materials with you. Q: Can we have a raffle or ask for donations? A: Yes, at your designated table. Please do not solicit directly to other Dram Shop patrons. Our shop will still be open to the public during this night. Q: What time is the fundraiser, and when do we receive the donation? 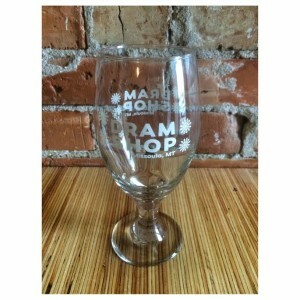 A: The Dram Shop will donate $1 of each pint sold that evening between 5:00-9:00p.m. You will receive your monetary donation within one month of the event. Here’s a primer on the history of Oktoberfest and it’s beer, and more importantly, the answer to the most burning question in our minds: Why the heck is Oktoberfest in September??? So back in the stone ages when I was just a young duffer, I took a year to travel around Europe with a good pal of mine. We saw a lot of Europe on that trip and were only shot at with a rifle once which was good because luck can only take you so far. Anyway, we were cruising around in the fall and had Oktoberfest marked down as something that we definitely wanted to see and drink. We wound our way through the alps of Austria and rolled into Munich on October 15th. We were somewhat surprised when we did not see the expected jubilant frolicking, dancing, and celebrating of Oktoberfest. Upon asking a friendly shop owner where we could find Oktoberfest, we were told that we were in the exact right location, but that it had ended two weeks ago. As it turned out, Oktoberfest runs from September 19th through the first Sunday of October (and this schedule varies slightly from year to year). Although we were sorely disappointed in our crack research and scheduling team, we luckily were able to find a fine establishment in which to drown our sorrows. So note to self: If you want to go to Oktoberfest in Munich, it’s better to schedule it for the end of September instead of mid-October. What has become Oktoberfest was first celebrated from October 12th through the 17th in Munich Germany in 1810. The Cause Celeb was the marriage of Prince Ludwig to Princess Terese. Being a friendly couple they invited all of Munich to their little shindig, and a rather good time was had by all. To put an exclamation point on the event, they held horse races on the 17th. The next fall, when everybody started to get really thirsty again, they decided to hold another celebration surrounding the horse races, and Oktoberfest was born. Throughout the 19th century the festival took on a more carnivalesque character with the addition of a large parade, bowling alleys, swings, and of course, tree climbing. These activities were mainly fueled by delicious and nutritious beer, although occasionally somebody would stop to eat some cured meat product or a strudel. Sadly, there have been years when Oktoberfest has not been celebrated due to pesky little wars and once in 1853 for a cholera epidemic which killed 3,000 residents of Munich. This has occurred 24 times in the 215 year run that Oktoberfest has been on. We can only assume that on these years the residents of munich found other ways to drink beer. We’ll have the Hofbräu beer on tap as well as other German, domestic, and local Oktoberfest beers! Come celebrate with us on Saturday, September 22nd! German brats and Kraut from Suppertime! Flights of all 6 Oktoberfest beers are $15. 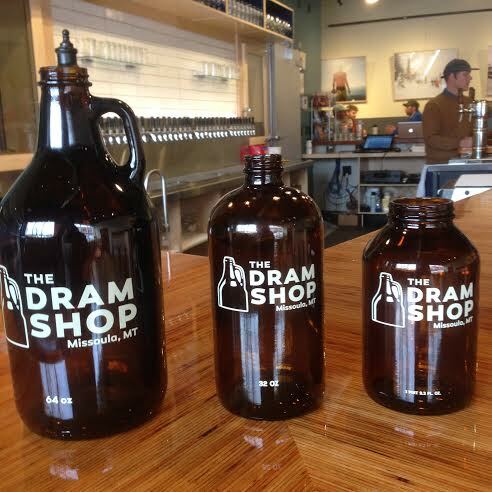 We’re offering custom Dram Shop Steins! Buy one for $20 and get your first beer free plus any Oktoberfest beer for $3 all week long. Not only that, but if you have a stein from last year you can bring it in during Oktoberfest and get $3 beers! Check out our 5 brand new items for the holiday season! We’ve got something to drink from, something to keep it bubbly, and something to transport your favorite brews, wines or sodas with. Take one to your next holiday gathering, and don’t forget the glassware! These items also make excellent gifts! In stock locally, or you can purchase from our website and we’ll ship it! Pumpkin Beer Fest ~ Sunday October 25th to Saturday October 31st! These are not your father’s pumpkin beers! 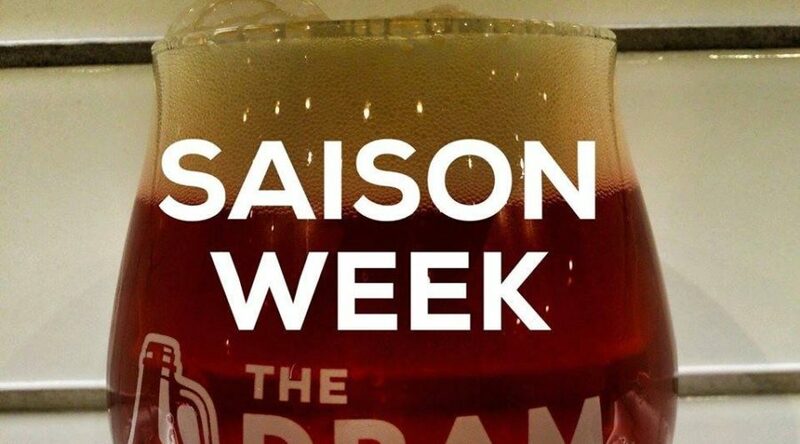 Check out the events and beers on tap below. From dark and mysterious to spicy and delicate, you’ll come away with a whole new appreciation for pumpkin style beer. We will have 6 rotating pumpkin beers on tap all week! Not in to pumpkin beers? Not to worry, we also have 34 other taps of cider, wine, soda, kumbucha and nitro toddy coffee. You can always check our live tap list here! -Includes an exclusive 16 oz. 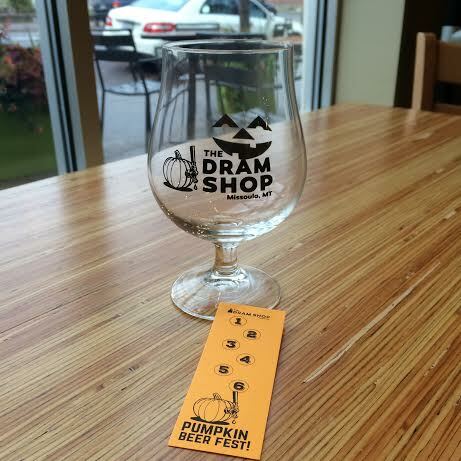 Dram Shop Pumpkin Beer Fest Glass, plus event card for each of the 6 pumpkin beers on tap! Be sure to reserve your glass and card now while supplies last! Flights of 6 different 5 oz. servings of pumpkin beers, with tasting notes. Special menu items from The Pearl Cafe will be paired with our pumpkin beers! 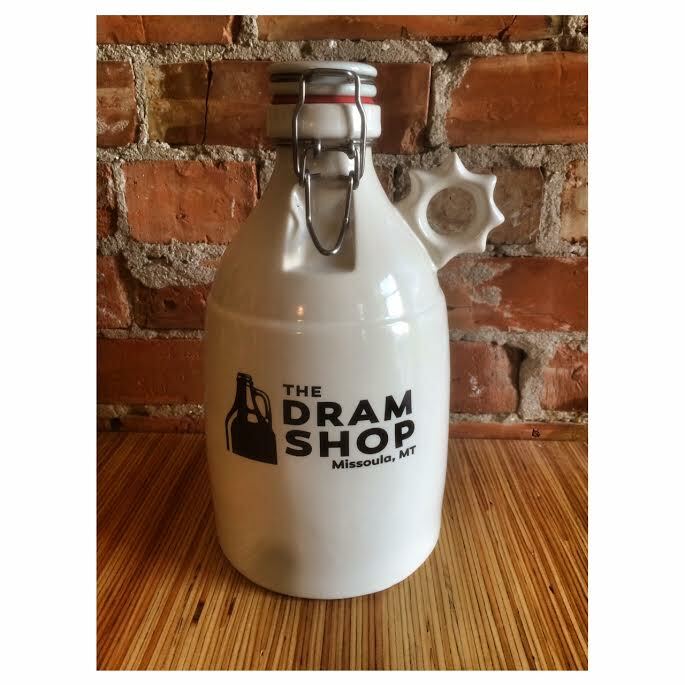 You can order off the menu right from The Dram Shop! Available Monday-Saturday 5-9pm. You call it in, they serve it to you at The Dram Shop. 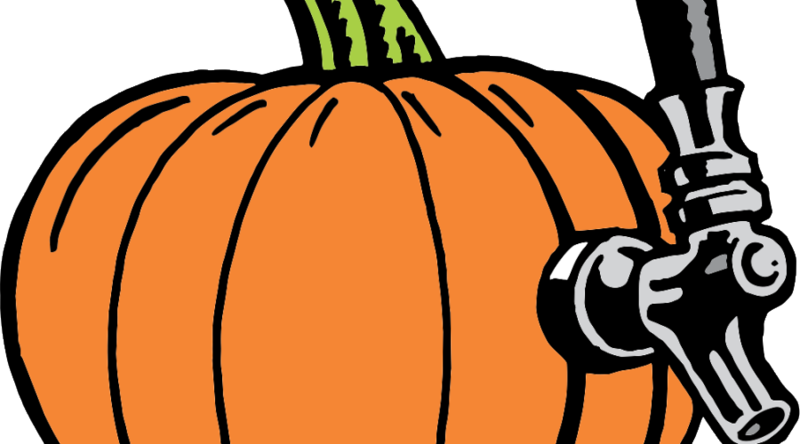 Bring your spooky chef and get creative decorating your very own haunted house with unlimited candy and icing in this special parent/child Halloween workshop! Costumes encouraged. $35/parent-child pair + $20 for any additional houses. Call 406-616-2837 or register online to reserve your house today! 4. Elysian – The Great Pumpkin – Imperial Pumpkin Ale. The Traveler Beer Co. – Jack-O Traveler Shandy. Summer is quickly approaching, and with it comes barbecue season. What could be better than spending some quality time in the backyard, grilling up some grub, and drinking some great beers! A challenge some folks face is finding a beer that is going to compliment their food nicely, but also be complex enough to enjoy on it’s own. Of course there are a lot different beer styles out there and literally thousands of different beers from different breweries Today, we’re going to focus on a range of somewhat malty beers, all the way to very dark beers. Don’t freak out hop heads, these beers taste so good with food, that you’ll be glad to put your IPA down for a little while. 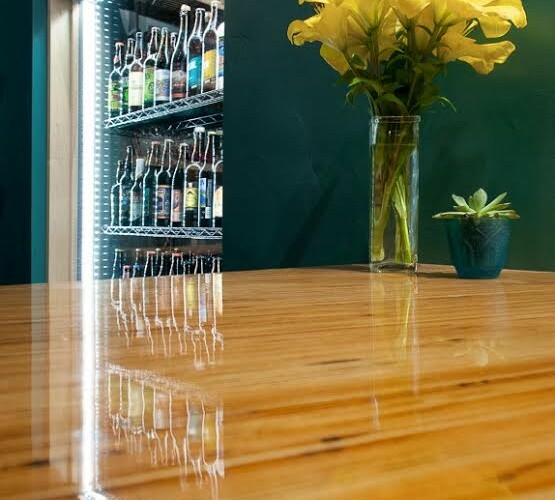 To limit our scope even further, we’re going to look at bottled beers that we have for sale here at the Dram Shop, just on the outside chance that you might want to swing by and pick one up before your next barbecue! Piraat Belgian Pale: This Belgian beer is a rich and rounded brew. Deep golden with a subtle haze from lack of filtering, this beer will pair well with grilled salmon and vegetables. With lots of hops, malt, and a mild Belgian sweetness, Piraat will stand up to marinated and grilled chicken and pork as well. Look out for spices and tropical fruit s on the finish here. Rodenbach Grand Cru: A blend of 1/3 young beer and 2/3 of beer aged 2 years in large oak vats, this beer is a very mellow Belgian sour. The proportion of oak matured beer contributes to complex and the intense, fruity taste. The finish is worthy of a great wine, making it a great pairing for just about anything you might choose to grill. Ayinger Alt-Dunkel: Dark chocolate in color, you can see a wonderful reflection if you hold it up to the light. It is round and soft with the warm, sweet aroma of freshly roasted malted barley. This is great all around malty beer. With a satisfying, malty taste of toffee and a hint of plummy fruitiness in the finish, this beer compliment almost any marinade or smokey sauce. Windmer/Deschutes Collaboration Alt Bitter aged in Bourbon Barrels: This beer is a blend of imperial barrel-aged versions of Deschutes Bachelor Bitter and Widmer Brothers’ Altbier. Imperial versions of both beers were blended together, then 50% was aged in rye whiskey barrels before blending back together again to create AltBitter. The subtle bourbon flavors blend with strong Malts and sit in the back when paired with Barbecue sauce and charred vegetables. Full Sail – Bourbon Barrel Aged Imperial Stout: This year’s Bourbon Barrel Aged Stout is inky black with aroma of dried cherry, shaved chocolate, and whiskey. It has a full malty palate with flavors of dark chocolate, vanilla, cherry, dried figs and a subtle hint of molasses. It finishes warm on the palate and slow cooked or smoked meats will compliment this big Imperial Stout. Also, don’t overlook desert with a beer like this. A scoop of vanilla ice cream will mellow the big strong flavors present here. Most of these beers are somewhat dry, full bodied, and flavorful enough to stand up to your favorite food off the grill without losing their very unique identities. One last thing to note; one of the reasons that malty beers pair so well with the sweet, smoky flavors of barbeque is because they tend to have a somewhat dry mouth feel. So we say go ahead and see for yourself, throw some food on the grill, and crack one of these awesome beers! That story may sound familiar, or maybe not, but the history of the growler in the U.S. has more in common with the way we use them now than you might think. And in many ways, The Dram Shop’s model is more similar historically to the way growlers were used originally in this country. 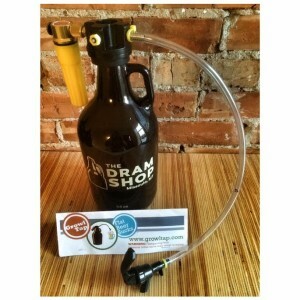 The use of growlers was, as is usual, a case of necessity being the mother of invention. It may be hard to believe, but there was a time in this country when beer was largely unavailable outside of a tavern or saloon. In the mid 1800’s, with the lack of pasteurization and modern bottling techniques, large scale bottling was practically non-existent. Bottles that were available were out of the price range of ordinary citizens. It sounds crazy, we know. 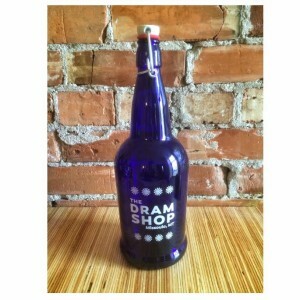 And apparently folks back then thought so too, which is why growlers came to be used. The process of growler delivery was called “rushing the growler,” as most growlers had no lids and were to be consumed immediately. 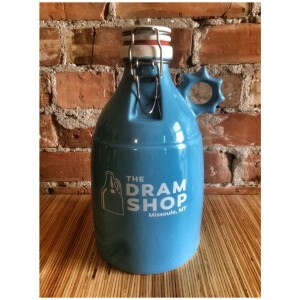 This began the tradition of a growler being for fresh beer. We like to think of them as a ‘mobile pitcher’. Multiple growlers would be carried by hanging the handles on a pole. The pole would then be carried, moving 6-8 growler buckets at once. As the temperance movement that eventually brought about prohibition in 1920 gained speed, the act of filling growlers was outlawed in as many as twenty cities across the US. The proud tradition then lay dormant until it was revived by the modern craft beer industry in the late 1980’s. Although we don’t sell tin buckets as growlers, we do sell a variety of glass, insulated and plastic growlers (for wine too!) to fit your needs. Here are our three different size amber glass growlers, and you can find more on our shop page.